Leading pan-African telecoms group, Liquid Telecom has cemented its partnership with United States’ multi-technology giant, Microsoft following the delivery of the first Microsoft ExpressRoute service peering in Africa earlier this month. 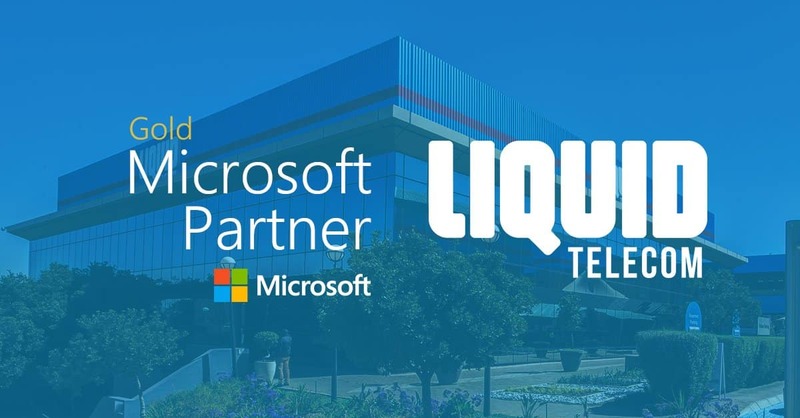 The partnership allows Liquid Telecom to offer its customers better performance, tighter security and lower latency when accessing Microsoft services over the operator’s CloudConnect network. The marriage between the two technology giants in offering integrated technology services to the African subscribers began last year when Liquid Telecom became the first telecommunications operator to become a Microsoft Gold Partner in Cloud Services. “Our advanced ExpressRoute offering is another important step forward for Africa’s Cloud. Liquid Telecom’s CloudConnect service is strongly positioned to be the highway that links businesses to a whole host of leading local and global cloud services,” said David Behr, Group Chief Product Officer of Liquid Telecom. The Microsoft ExpressRoute is part of Liquid Telecom’s CloudConnect offering, allowing businesses to establish private connections to Azure. Previously, customers could only access ExpressRoute via peering locations in Europe which made the service unavailable on the African market. Liquid Telecom recently deployed an ExpressRoute link for the Western Cape Government, which is overseeing a major upgrade to communications infrastructure in the region. This makes South Africa’s Western Cape Government to be the first customer with a direct private connection to the Azure Cloud that is exchanged locally in Africa. Liquid Telecom is the only Microsoft partner providing an ExpressRoute service across eight African countries on its own fibre, including South Africa, Zimbabwe and Kenya. Liquid Telecom will also be able to offer ExpressRoute directly to the Azure Cloud in Africa when it goes live in data centres in South Africa later this year. For businesses in Africa, this ExpressRoute Microsoft partnership will allow Liquid Telecom to guarantee the performance of the link end-to-end in a Service Level Agreement by routing all traffic within Africa. African businesses will also enjoy significantly reduced latency due to the closer proximity of the data centres compared to the European-based facilities.